Resilience 2011: As the planet warms, become more like bamboo! “The bamboo that bends is stronger than the oak that resists,” says a Japanese Proverb. In these times of climate change, we all need to bear this in mind. It’s not how we resist the battering, but how we pick up again after repeated onslaughts. Bamboo is an amazingly versatile plant (actually, a grass) with many uses in Asian cultures. We use it for buildings, furniture, outdoor infrastructure, artistic decor and even eat parts of it. Beyond these utility functions, the bamboo holds a philosophical lesson that the ancient Japanese and Chinese knew very well: its flexibility is its strength. It can bend and move with the wind or water or other element, rather than being rigid, unyielding and ultimately vulnerable to an unexpected jolt and sideways shift. Bamboo was mentioned several times by Asian researchers and practitioners who came together at Resilience 2011: Asia Regional Conference on Building Livelihood Resilience in Changing Climate, held in Kuala Lumpur, Malaysia, from 3 to 5 March 2011. 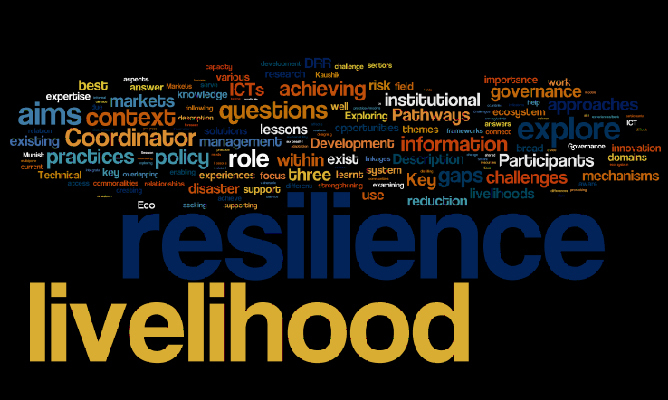 Resilience was discussed and interpreted in a number of ways at the conference. But participants broadly agreed that it is the ability of any individual or community or system to absorb external shocks, bounce back and transform or continue to grow. Such bouncing back, in some climate related situations, could be to alternatives rather than to the original condition. For example, if poorly built structures are damaged in a disaster or extreme weather condition, the recovery could – and should – be to build back better. 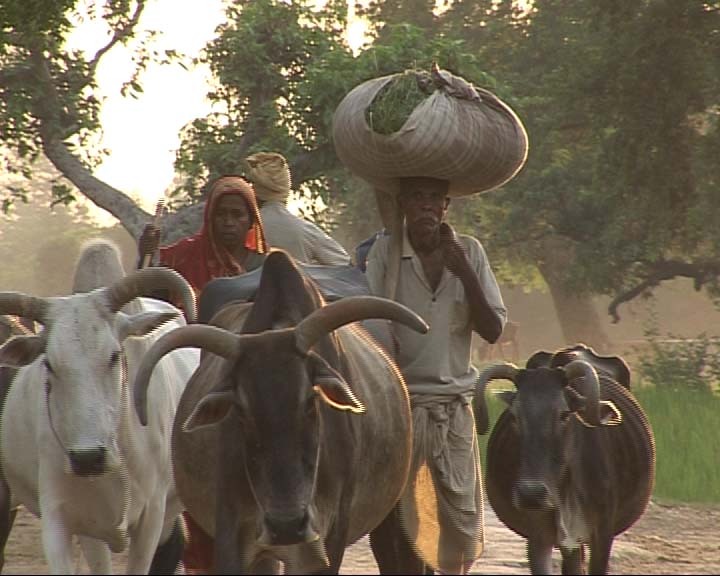 What does Livelihood Resilience mean to them? The conference has attracted three dozen researchers, practitioners and policy makers from across the Asia Pacific region, and from different ‘domains’: Disaster Risk Reduction (DRR) and disaster management; Ecosystem services and conservation; and livelihoods and socio-economic development. I like hobnob with researchers and activists from whom I learn much. As a science and development communicator, I sit through their often very technical discussions and find ways of relating them to the bigger realities. For a start, I created a word map of the keywords being used in the conference. That gives an idea of concerns at a glance. Asia, home to over 60 per cent of all human beings, is the largest and most diverse geographical region in the world. It is also a region of sharp contrasts and disparities in economic and social development. Some Asian economies have been growing faster than any other on the planet, and even the global recession has not slowed them down too much. This growth has helped push tens of millions of people out of poverty during the past three decades. Yet, Asia still has the largest number of people living in poverty and food insecurity. In some respects, gains have been lost. For example, the UN Millennium Development Goals Report for 2010 revealed that the proportion of undernourished Asians has increased recently to levels last seen during the 1990s. Two thirds of the world’s undernourished people live in Asia. At the same time, the natural resources on which food supplies depend – land, water and biodiversity – are degrading rapidly. Food shortages and water scarcities are already being experienced, or anticipated, in many countries. Growing number and intensity of disasters adds further pressures. According to the international disaster database EM DAT, Asia accounted for nearly half (46 per cent) of the all water related disasters in the world, and 90 per cent of all affected people during 1980 to 2006. During this period, disasters in Asia caused a total of US$ 8 billion worth of economic damage. These disasters impacted disproportionately on the poor and vulnerable sections of society. Climate change impacts will make this situation worse for everyone, and especially for the poor who already have limited options and ability to adjust to rapid changes. It is now clear that all efforts aimed at reducing poverty and protecting the socially vulnerable groups need to factor in the additional pressures created by changing climate. To cope with these challenges, we need better understand how livelihoods are threatened, and what strategies can be adopted to improve resilience especially at the grassroots. Researchers and practitioners in natural resource management and poverty reduction are now focusing more and more on the nexus between resources, climate changes and livelihoods. •	Humanitarian aid workers active on disasters now focus on disaster risk reduction, expanding the scope of risk management to include preparedness and risk reduction. •	Development practitioners working on poverty reduction emphasize on increasing access to various capitals to help address disaster risk and poverty. •	A ‘systems approach’ is being used to look at poverty in broader terms of well-being of people and ecosystem services of Nature. In addition, researchers and activists emphasize the value of freedoms for participation, economic facilities, social opportunities, transparency guarantees, protective security and ecological security. It is only by ensuring these freedoms that the poor will have a meaningful chance to assert their rights and make their own choices in what they do, and how they do it. The slowly but steadily warming planet challenges everyone to rethink their conceptual frameworks, and redefine or reconfigure how they work. If there is one thing certain about these uncertain and turbulent times, it is business-as-usual won’t do! Each sector has accumulated a knowledge base, set of best practices and lessons learnt exist within individual domains. Each sector’s theories, approaches and actions within various domains differ on how to make livelihoods more resilient, especially in the often harsh realities of the developing world. They are all necessary, but not sufficient. Taken individually, no single approach or solution can help make everybody’s livelihoods resilient from the multitude of pressures and impacts. Yet, what one strand cannot withstand on its own, a bundle of strands very likely can: bringing different areas of research, advocacy and practice is the way forward to ensuring better resilience at the grassroots. This is easier said than done. Both researchers and practitioners have long worked in their own silos or compartments, with occasional nods at each other’s work and periodic exchanges. From this, we need to evolve more integrated framework that brings in the ecologists, disaster managers, social scientists and everyone else who share an interest in making lives better at the grassroots and at the bottom of the income pyramid. •	What are the existing challenges to achieving livelihood resilience? •	What are the gaps in existing livelihood frameworks in relation to disaster, climate change adaptation and conservation in addressing livelihood resilience? •	What are the challenges in scaling up pilot models of Livelihood Resilience? •	How does social adaptation occur in resilience building?